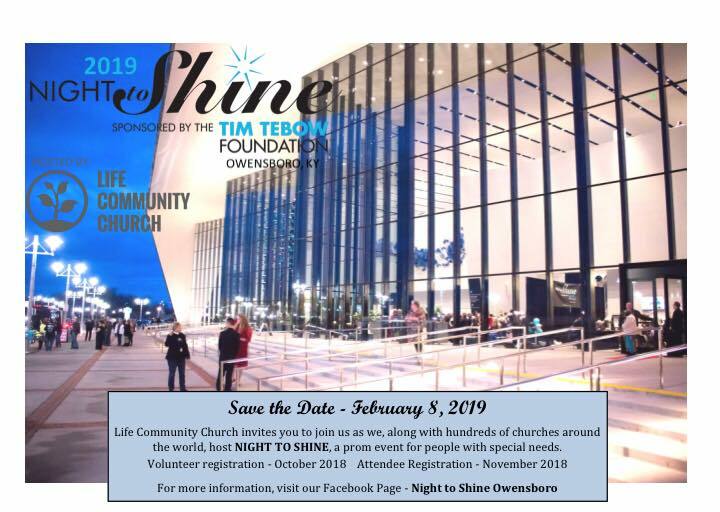 Life Community Church in Owensboro is excited to partner once again with the Tim Tebow Foundation and host Night to Shine 2019! Night to Shine is an unforgettable prom night experience for people with special needs ages 14 and older. Doors Open at 5:30pm. Event Begins at 6:00pm.